Coin Corner was launched in 2014 in response to many people wanting to buy bitcoin in the UK but not being sure how to proceed or how to find the best bitcoin exchange. Furthermore, people were concerned about security, particularly as crypto-currencies and the lack of legislation surrounding them made for a nervous transaction. Coin Corner started working with the Isle of Man government, where they are domiciled, to ensure that when legislation comes they will be at the forefront of regulation. Sign up is free and there is a simple online registration process to follow. No documents are required so there is no verification process in the way of beginning to buy bitcoin. The next step is to deposit some funds using a debit card, credit card, or bank transfer, and then the customer is all set to buy bitcoins. 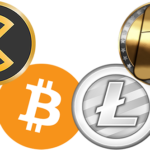 Coin Corner boasts a user-friendly interface making it quick and easy to buy bitcoins. This is available on PC and mobile app. Mobile Bitcoin wallet app – This has the same functionality as the website but allows customers to buy and sell bitcoins on the move on Android, IOS and Windows devices. Affiliate scheme – There is a referral scheme and customers can earn bitcoins for every successful referral. The commission level is up to 25% and the commission lasts for three years. Bitcoin exchange – It is the aim of Coin Corner to be the easiest bitcoin exchange in Europe through easy to use set up and user interfaces across multiple devices. Accounts are secured with 2-factor authentication with Google Authenticator. Multi-signature cold storage for the majority of bitcoins that they hold. Customers can connect to Coin Corner via their API.